Sorry Crazy Dems and Liberal Media - as AG Barr Explained - No Case for Obstruction Without Collusion - It's OVER! Some in the MSM and other far-left Democrats are clinging to the fact that the Mueller team would not opine on possible obstruction by President Trump. 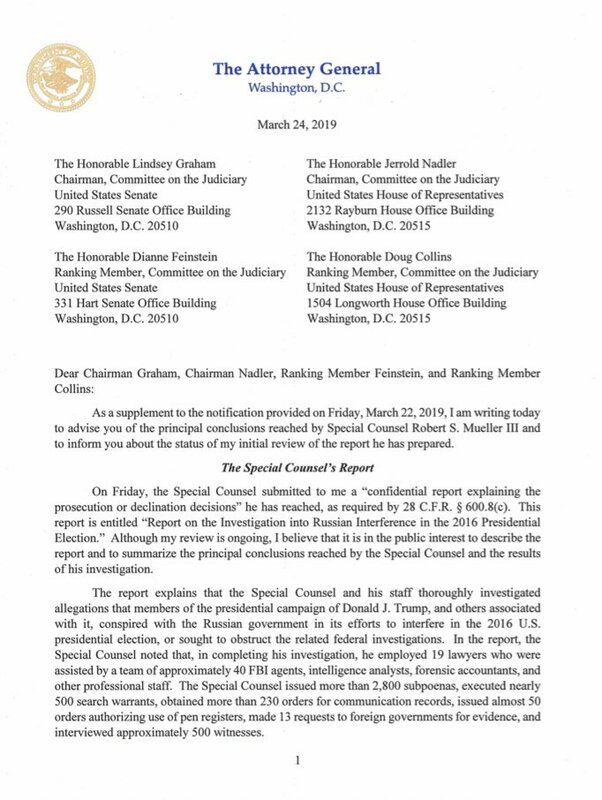 They don’t report nor recognize that AG Barr succinctly determined there is no reasonable case for obstruction without collusion. It makes no sense! 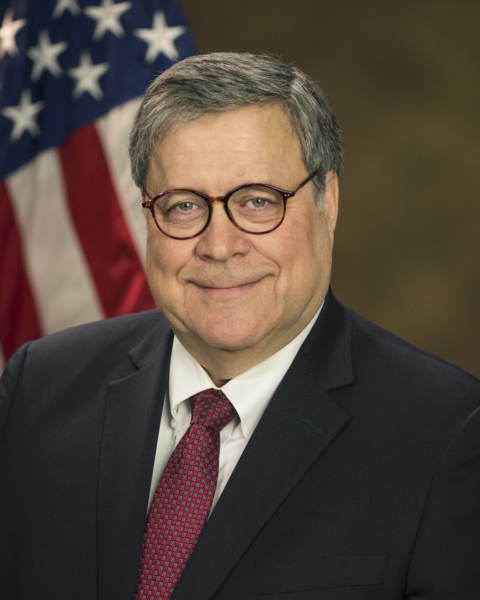 Attorney General Barr came through with a home run for President Trump today in claiming no charges result from the Mueller report on both collusion and obstruction of justice. Nadler is clearly lying again. This is not close to the truth. But AG Barr and the corrupt Mueller gang clearly and eloquently exonerated President Trump from collusion. Mueller’s gang, led by the very corrupt and conflicted DOJ attorney Andrew Weissmann, did not opine on whether the President obstructed justice. So AG Barr took this very sleazy and weak position by the Mueller team into his own hands. Barr eloquently explains that Mueller would not opine on obstruction. So Barr explains that he and DAG Rod Rosenstein decided to address the issue themselves – on whether President Trump obstructed justice. 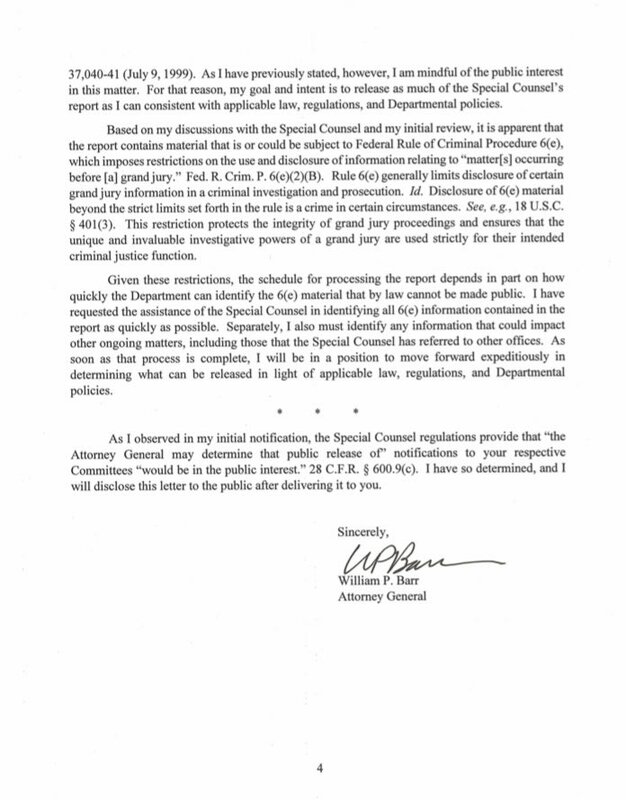 Barr states that he and DAG Rosenstein concluded that evidence is not available to establish that the President obstructed justice. Barr then explains that their decision is independent of whether the President could be indicted for anything, even if he did commit a crime. But then Barr solidifies his case. He states that there was no motive for President Trump to obstruct justice since he didn’t commit collusion. 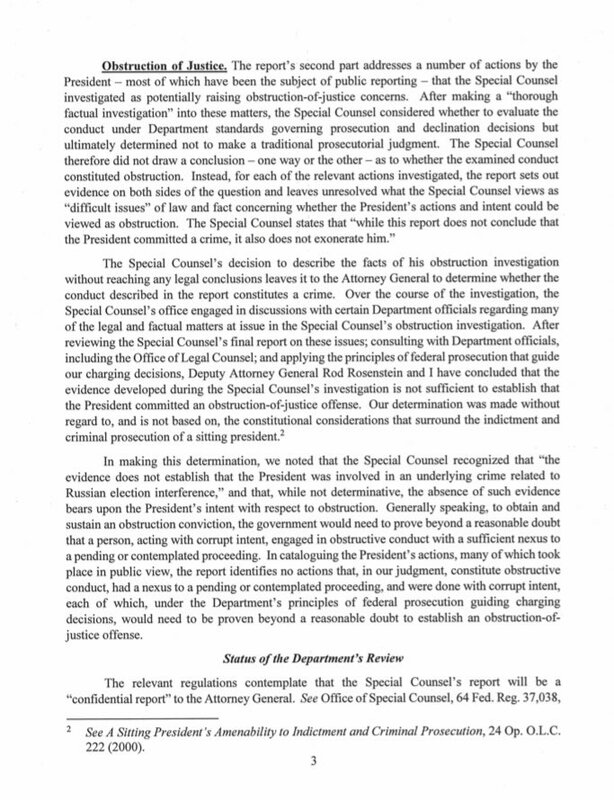 He then states that most the evidence supplied by the Mueller gang regarding obstruction were in the public view and that no actions constitute obstructive content. Then Barr solidifies his stance by saying that in order to obtain a judgement on obstruction the court would have to prove beyond a reasonable doubt that actions were taken, related to a preceding with corrupt intent and all three of these would have to be proven beyond a reasonable doubt. For AG Barr to come to this legal and thoughtful conclusion, in less than 48 hours, over a weekend, with a corrupt DAG Rosenstein by his side, is very impressive! 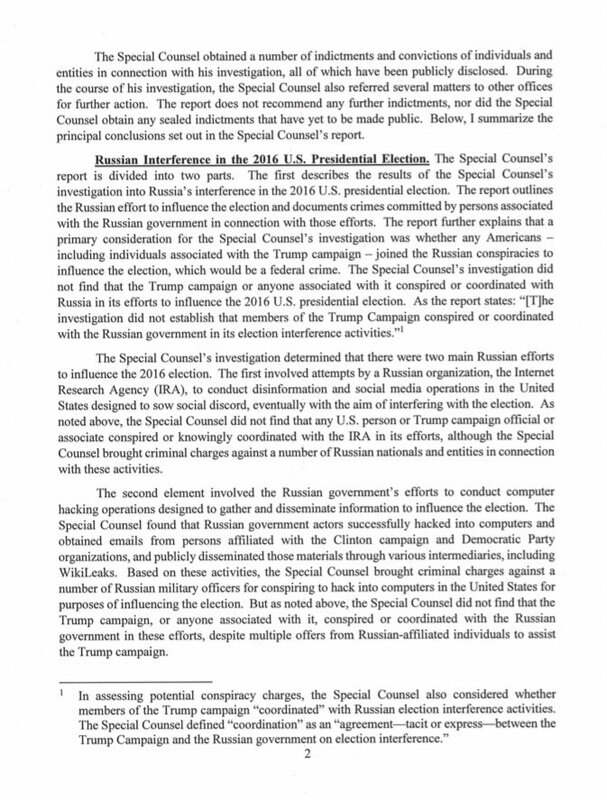 The fact that there was not collusion and no evidence of obstruction, and that most the evidence is public, totally supports AG Barr’s position. Trump is innocent! It’s a great day for the USA.